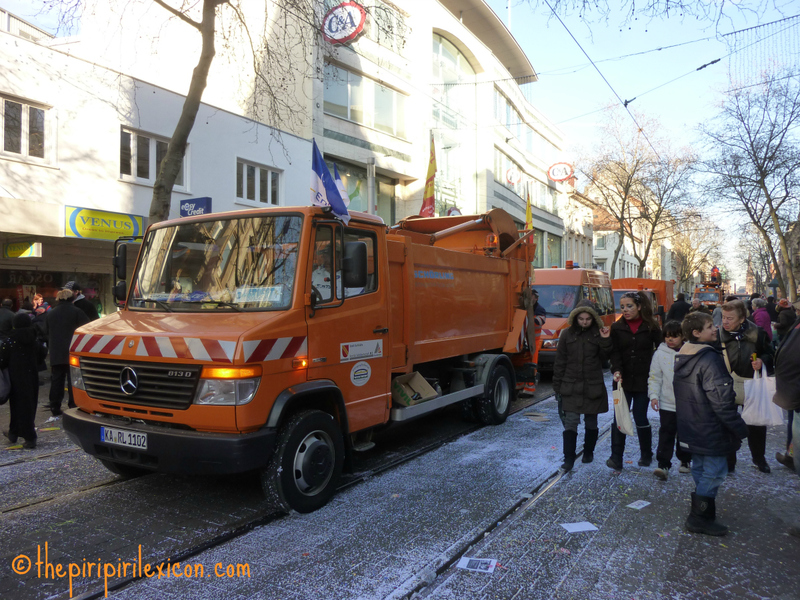 Carnival is a really important tradition in Catholic parts of Germany. 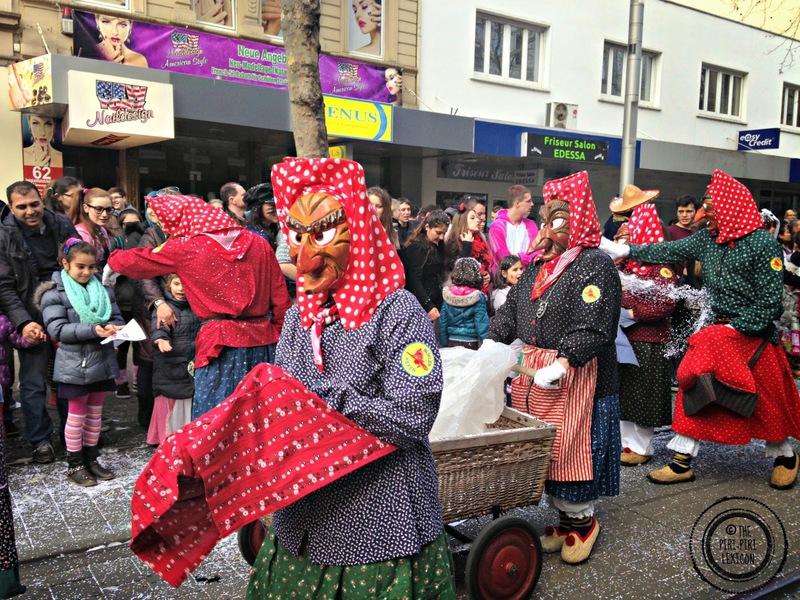 The "Swabian-Alemannic" Carnival, known here as Fastnacht, takes place in Baden, Southwestern Germany, Switzerland, Alsace and Western Austria. In pre-Chrsitian times, the carnival celebrations represented the driving out of winter and all its evil spirits. The costumes are often meant to be scary to scare those evil spirits. The participants also often wear wooden masks. No bikinis or fancy floats - more woolly hats and trucks! The main celebrations last about a week. 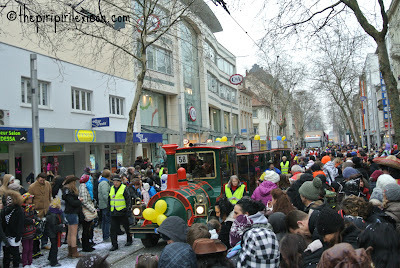 But the main event is the parade (that everybody either hates or loves) on Shrove Tuesday. 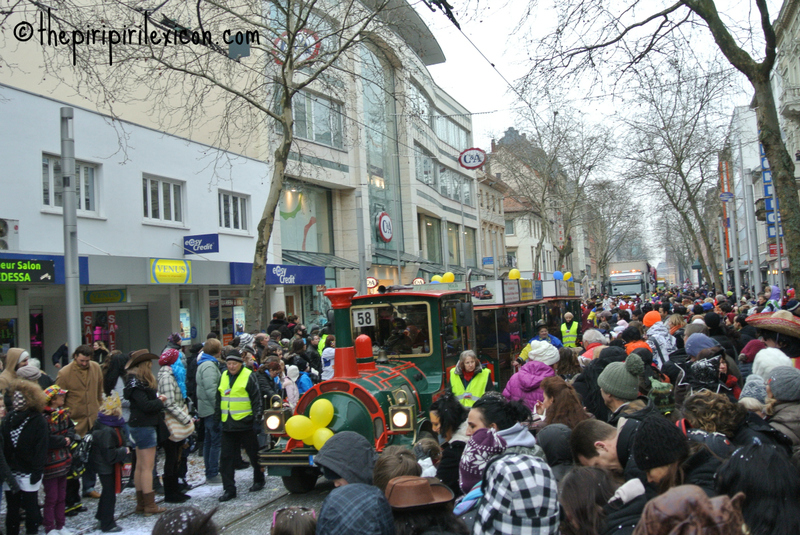 In Karlsruhe, the parade lasts about 2 hours to the sounds of 'Helau! 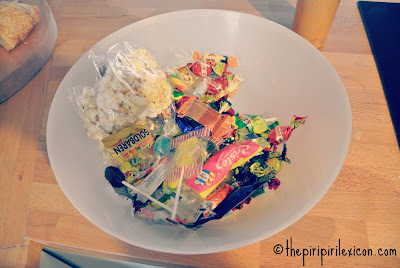 (the main regional greeting during the carnival season). 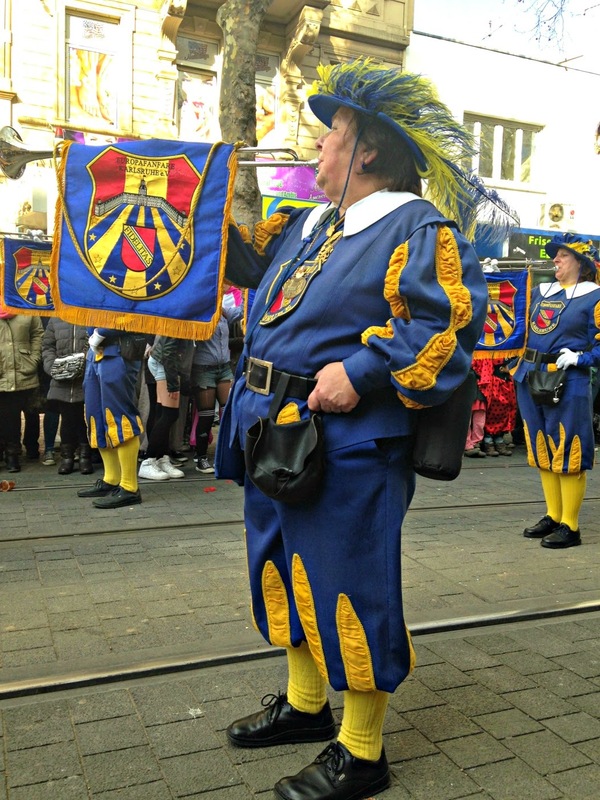 During the parade, clubs and groups parade through town on floats or on foot throwing sweets, biscuits, flowers, toys, confettis and promotional junk. I am told that an estimated 15 to 18 tons of sweets is handed out (to a city of 290000 inhabitants). And I believe it! Look what a 3-year old got just by looking cute on top of her dad's shoulders in one hour. Next time, the little red riding hood will need a shopping bag, not a cute little basket! Oh, and this being Germany, they waste no time in cleaning! The last float is a large group of men in orange jackets and armed with brooms!